De nieuwe modeling percussion/drumsynthesizer van Nord ! De nieuwe supercompacte Nord Drum 3P combineert verbluffende speelbaarheid met ongelimiteerde klankmogelijkheden. 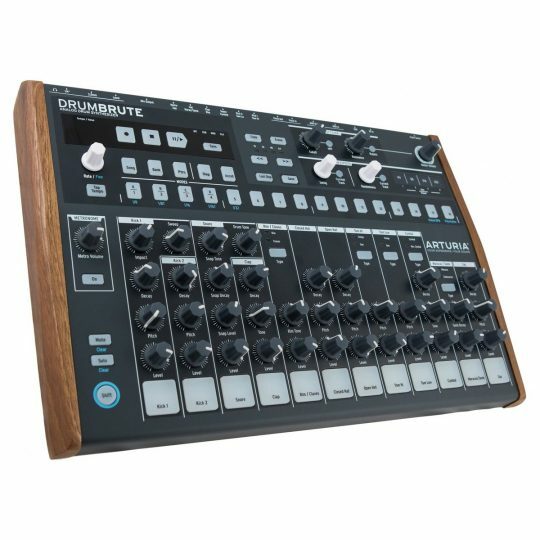 Nieuwe features zijn geintegreerde multi-pads, galm en delay effecten. En een eenvoudige manier om sounds te kiezen (heel veel nieuwe sounds) zodat je heel eenvoudig snel en direct nieuwe kits kunt samenstellen. The new Drum Select feature lets you browse a wide selection of great sounding drums sounds, simply assigned to each pad individually. Easily replace toms, cymbals or kicks in seconds by selecting from our new preset library. The new Drum Select banks feature 9 categories of great preset sounds that can be easily assigned to any of the six pads/channels – and is a great starting point in rehearsal situations when you need to find the right sounds in a matter of seconds. The categories include Bass drums, Snare drums, Toms, Hi-hats, Cymbals, Percussion, Bells, Tuned Percussion and Effects. 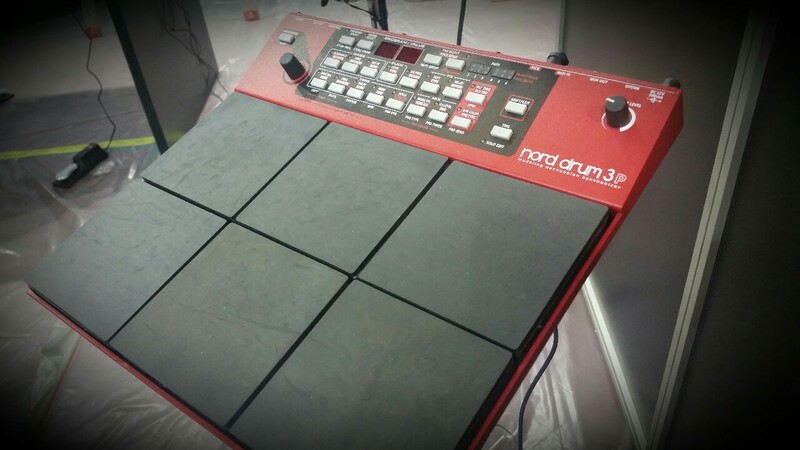 The sounds of the Nord Drum 3P are all synthesized in real-time – allowing you to both sculpt and play sounds with a unique dynamic response, regardless if you prefer to play with drum sticks or from a sequencer. 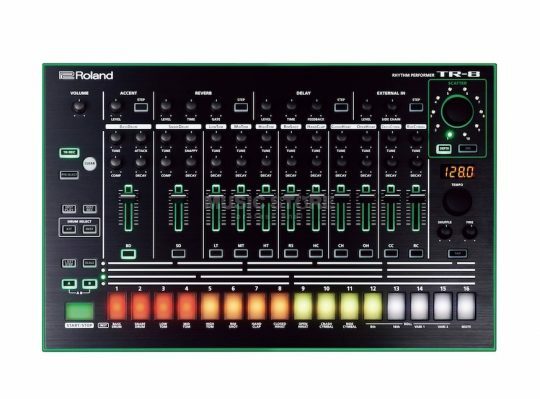 The Tone Section is specialized for creating tonal and harmonically complex sound spectras and has four synthesis modes – Resonant synthesis, Subtractive Synthesis, Frequency Modulation and Ring Modulation synthesis. 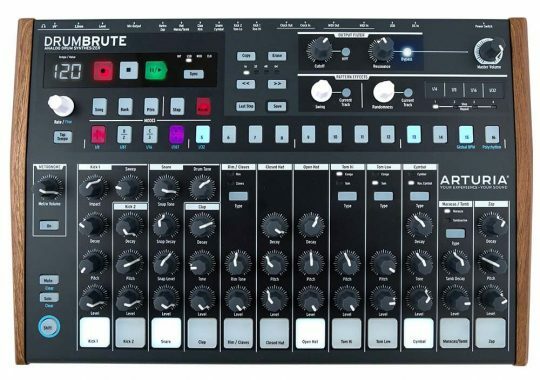 The Subtractive Wave types include Sine, Saw, Square, Pulse waveforms and T-Bridge Oscillators and are brilliant for creating classic synth-type drum sounds and effects. The Ring Modulation mode features 2 different types of Ring Modulation. When using the Subtractive synthesis mode, the Frequency parameter controls the cut-off frequency of a Low-Pass filter and the Dyn Filter controls how much the filter should respond to velocity .The Decay controls the decay of the whole spectra, with a choice of Linear and Exponential decay envelopes. A Dynamic Decay mode lets you set different Decay lengths for soft and hard strokes. The Punch Decay adds more attack to the Tone by giving the fundamental pitch an ultra-fast envelope at the very beginning of the sound. The Bend parameter provides a powerful, velocity sensitive pitch envelope. 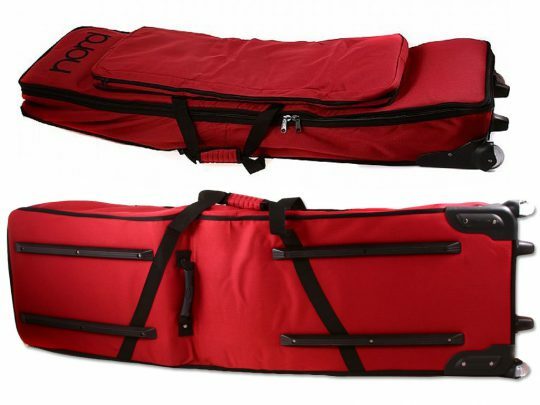 Use it to create attack-like effects but also more radical bending sounds that travel up or down when played such as the sound of a raindrop, tablas or the classic 80’s “pioouw” tom-sound. The Noise can be sculpted with Low-Pass, High-Pass or Band-Pass filters with Cut-Off and Resonance controls. Once you’ve found the noise of your choice, it can be adjusted to respond dynamically to velocity in the same manner as with the Tone section with the Dyn Filter control. The Decay control is just as powerful, with a choice of Linear, Exponential and Gated decay types. A Dynamic Decay mode lets you set different Decay lengths for soft and hard strokes. Combine this with the equally powerful dynamic controls of the Tone Section and it won’t take long before realizing the potential for creating complex sounds with fascinating material-like behaviors! 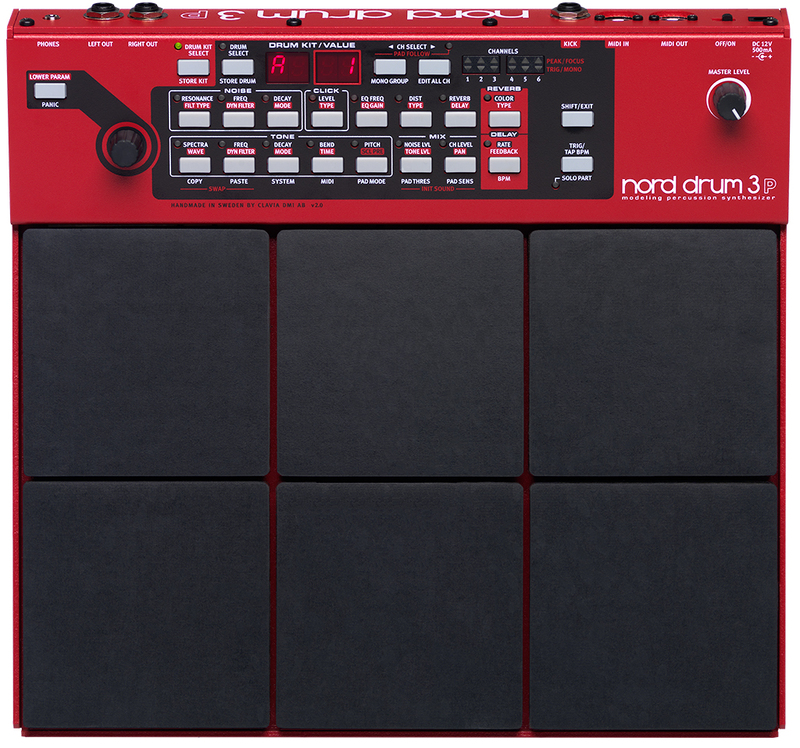 Each of the 6 channels of the Nord Drum 3P has its own powerful effects – Drive, EQ and Ring Modulation. Adding just a touch of Drive to your sounds can make a huge difference in terms of realism, while the Sample-Rate reduction is perfect for Lo-fi crackling effects. Ring Modulation can be used for slow tremolo-like effects to total atonal mayhem. A flexible parametric Equalizer with selectable band and amount is also available for each channel, brilliant for adding some finish or attitude to your sounds. The handy Edit All mode let’s you edit all 6 channels simultaneously, for example reverb, distortion or delay. 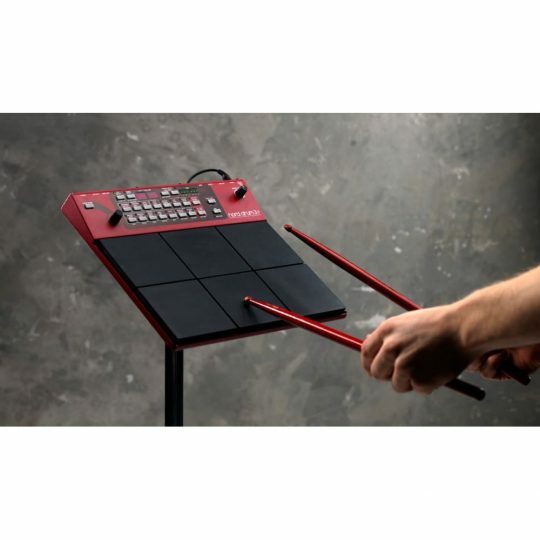 Tuned Percussion kits can be created instantly by selecting one of the Scale Presets, which include Chord Scales, Pentatonic, Hang Tunings and Hexatonic. MIDI in/out is also available for using the Nord Drum 3P with any kind of MIDI pads or sequence it from an external MIDI Sequencer. 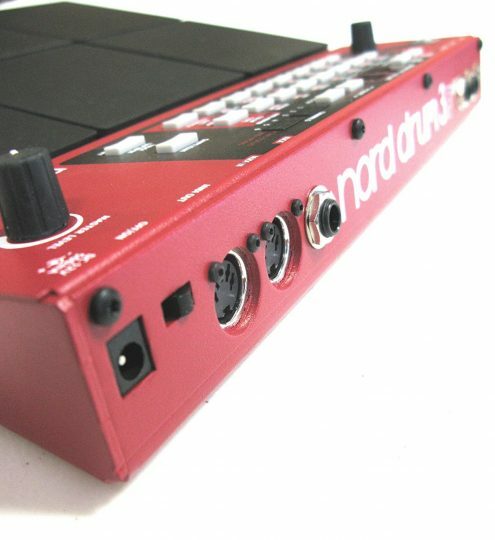 All of the Nord Drum 3P sound parameters can be controlled via CC-controls over MIDI. If you own an iPad don’t miss our free iPad app Nord Beat, specifically designed for sequencing the Nord Drum 3P via MIDI.